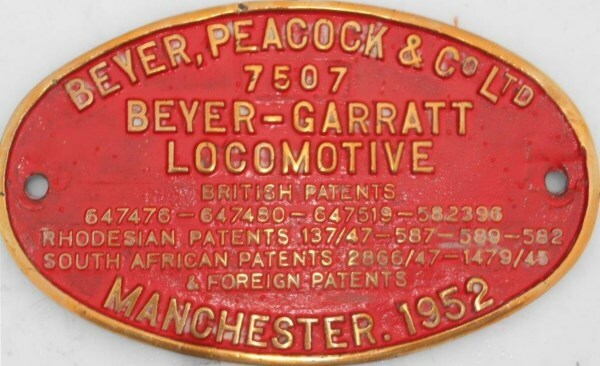 Lot 165 Brass Oval Steam Locomotive Worksplate "BEYER, PEACOCK & CO LTD -No 7507 - MANCHESTER 1952". As carried by a Class 16A - 2-8-2 + 2-8-2T No 629, refurbished by Rossco of Bulawayo in March 1980 becoming No 604 with National Railways of Zimbabwe in June 1981. As removed condition.